Data is one of the most valuable business assets. Companies are using data to provide more personalized, tailored experiences to their customers, analyzing customer and operational behavior to make better decisions, and providing web and mobile apps to their customers, employees, and partners. As the keys to that data, APIs are poised to become valuable business assets in and of themselves. 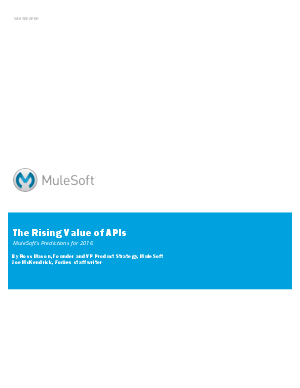 In this whitepaper, we'll learn how APIs are currently transforming the enterprise, and how they will become even more integral to how we do business in the future.